How insidious that we have had for so long an activity which most of us can logically reason has harmful effects on us personally and on a society level, sanctioned by man-made religious doctrines and made acceptable because so many people assume if something is included in any religious practice it must have its origin in God’s word! If we were to consider all the damage done from alcohol on a global scale, we could write books on why we hate alcohol. And the cost of it!!! Both in the price of the consumption of the stuff but also in the repairing of the damage it has caused, some of which is quantifiable; like hospital and health costs – but much of which is unquantifiable; lives and relationships destroyed. I remember we had a drug presentation at school, and the most damaging drug was alcohol – its impact has permeated so much of life and that is just the impact that is obvious or measurable. We have allowed this substance to take hold and become normal, but do we ever consider why we need it. Yet how many people would call it a drug? When I was growing up, it was very definite that my parents and their friends considered there to be a big, thick line between drinking and narcotics. A line that protected their choice to drink. I agree, deep down we all know that alcohol is not good for us but we deliberately avoid knowing this. This means that a huge number of people in the world are living a lie about alcohol and a society based on lies is not a very healthy one. What’s more Elizabeth is that once one lie has been told (pretending that alcohol isn’t bad for us) then that is a standard that is then set and then allows so many other lies to be told. For example, if we are abusing our body with alcohol, does it then matter that we are abusing ourselves with other substances and foods? A world without drinking alcohol would offer the opportunity for everyone to know who they are. I’ve always felt unsafe around the unpredictability of people who had been drinking and how aggressive some people could get. I recall travelling on the tube when events were on and you would be sharing the carriage with many who were drunk and although some were funny which as you said is actually very sad to see some were unpredictable and intimidating. The thing is when we are brought up in a culture of drinking alcohol it usually doesn’t enter our heads that it’s bad for us. For me, it was the pure fact that I would get horrible hangovers and feel ill for about three days that would deter me from drinking. Otherwise, I kept on trying to fit in and have a so-called ‘good’ time with friends. So what will it take for humanity to see the truth about alcohol? Are we living a yo-yo life? Work hard, and party harder becomes our battle cry, with alcohol to fuel the way! Life is a flow and, we choose to live it only in the rapids, that has rocks that are always waiting for us! We are often told to not consume any alcohol when we are pregnant because it can be harmful to the baby. This to me confirms that alcohol is poisonous. Feeling how much we hate who we become when we accept poison is a crucial firs step. But what comes next is celebrating and loving how great we feel free of it’s influence. It’s this that cements true change. It’s very telling that there is not one part of me that misses drinking alcohol, in fact whenever I think about not drinking I’m immensely grateful that I am no longer addicted. If we didn’t have alcohol there would be a substitute. I accept alcohol. There is a place for it and at this time we need it. I also hate it, it destroys but we have to realise that there is always going to be a root cause for the reason we consume alcohol and until that time we are willing and ready to go to the underlying cause, then there will always be a demand for this substance in society. Would you give alcohol to a baby? Of course not. But why are we taking it as adults? Are our bodies more fit for it? Of course not, we only have been impregnated by society that alcohol is part of life, so we think we should handle it, even the first sip tasted awful and our body reacted to it strongly. Everything can be placed in one of two categories, either it takes us away from who we naturally are or it supports us to remain/return to who we naturally are. Alcohol takes our hand and yanks us away from who we naturally are. It’s a very ugly bedfellow. The harm of alcohol is so pronounced and so well known in society. It is interesting to see that despite the fact, it is still so demanded and consumed in excess by many. I agree Joshua, the same can be said about cigarette smoking; we are all aware of the dangers and yet we still do it. For me this says it all, if we would live the love we are and honor the divine beings that we are we would not consider putting anything harming into our bodies. So another question is what are we avoiding and why? Could it be the power of each of us and even bigger of us united in brotherhood? I would love a society without alcohol, but know people who need to drink would only turn to other substances for the fix they need to cope with life. So I look forward to a time when we as humanity don’t need the fixing because we are all dealing with the issues that need sorting out, then the world will be a better place. You are absolutely right here Gill if we were all connected to our souls we wouldn’t need the fix of alcohol or other things we turn to which there are countless, to try and fill that gap left when we don’t know our true selves. Children do watch their role models I thought drinking was what you did as you get older…I couldn’t wait for my chance, I was a complete pro..and it was my false friend for many years. However its offering is nothing but pain, disillusion and harm for society, it offers nothing of worth and what does normalising it say about where we are really at…lost in escapist irresponsibility…. confronting maybe but true. We have created a sense of superiority by becoming a connoisseur of wines, whiskey and the like, which feels to me like just a higher level of sophistication and justification for ingesting a known poison. The issue is us drinking alcohol more so than the alcohol itself. We would also say I hate petrol if we started drinking it – it is ok in our cars (at present) but not in our human bodies. The question is why do we want to imbibe, snort, smoke and indulge in substances that disconnect us from ourselves and each other and not only do that but as a society champion it and berate others who do not subscribe to that harm? I reckon it is because the people who do not subscribe to these abusive behaviours are reflecting responsibility and a deeply loving way to society and the reactions are simply a resistance to the loving reflections. The effect of alcohol in the world is huge and this brings a great clarity and understanding to something the world does not want to see. I have always hated alcohol and drugs since I was young and its effects but simply accepted it as part of the world and now realise how living without in daily life in families and in occasions also is deeply beautiful allowing the realness of who we are to be honoured and treasured and respected to a deeper level of love and commitment to life if we choose it. If you see a small child around others drinking you will clearly see the harm caused by alcohol. I’ve often been told that if alcohol was invented now it would not be legalised. Whether that is true or not it does say a lot about the absurdity that we have a drug which is not only legal but celebrated, normal and totally acceptable within society. 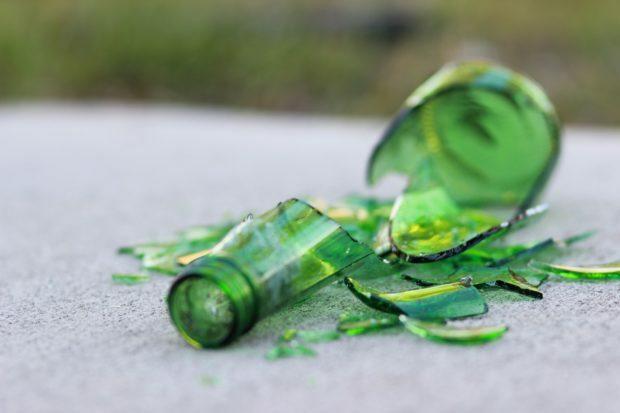 When we look at the shocking figures of domestic violence that are showing no signs of abating, is it not time to really look at the severity of the harm done by alcohol and do something about it collectively? It is great to see that the younger generation are waking up to the fact that alcohol is a poison and is the cause of so much illness and disease. In time we my look back and wonder why we ever ingested such a substance. I haven’t been around alcohol for a while but earlier in the year I went to a 50th birthday party where I was the only one not drinking and there was quite loud music so anyone that talked to me would get in quite close and I couldn’t believe how bad alcohol actually smells on the breaths of people and to think that used to be me on a daily basis. I totally understand why we drink, I did it for years but I also love my life so much more now that I don’t. It is incredible how we can have aspects of life that most of us know have huge harming repercussions yet we still choose to have them as a major part of our life, to an extent that if someone chooses to refrain from it, they have to justify themselves. Alcohol is a great example. Although I would never encourage alcohol consumption, I can see why it is such high demand, with all the stresses and tensions of life being extreme and pushing many to the point where something to take the edge off is the only thing making life bearable anymore. The deeper point to ponder is how or why to we have an entire society set up to fail, in every true sense of measurement? I eventually got very honest with myself one day when I realised I didn’t like alcohol and that I’d trained myself to drink to fit in, and in doing so I’m compromised myself, crazy and not rare unfortunately. Having not drunk now for over 15 years I do not miss it and deeply enjoy the time I spend with friends and family where I am more myself and appreciate them in who they are, and this is not about another drinking or not, but about offering genuine choice for all of us on whether we drink with the knowing and understanding of what alcohol does. Thank you for this Monica. It helps me appreciate how much more I enjoy the company of others since choosing not to drink alcohol. People are amazing and connecting with them is a deeply joy-full experience. No alcohol required. We have a high rate of alcohol consumption in our society and this is a reflection that people are simply not coping with life. So, the question is, what is it about life that we are not coping with? Life should be a joy but so many of us are not living this for many reasons. Important to look beyond drinking as an accepted norm as to why we feel the need to do it and then justify it in the denial that alcohol is poison. Something very deep is running collectively under the skin that we need to get honest about. ‘There will come a time when the harm caused by alcohol will no longer be sustainable.’ As the people running the UK’s NHS are talking about the medical profession asking people more directly to address their lifestyle causing health issues I think we’re going to have to admit alcohol isn’t the fun, or pleasent way of dealing with life. Added to that the crime related incidents fuelled by alcohol. This time will come perhaps sooner rather than later. Agreed Karin, what if we were already at that time or what if we didn’t need to go to the extremes of waiting until that time? That said what occurred for me was not trying to stop drinking alcohol but the more care I took for how I was living the less I liked how I felt when i drank and the more productive I felt in life, the less I wanted to waste even an hour not feeling on top of things. I too got to the point where it took the poison of alcohol and the effects of not just the poison but the absolute draining of our life force to not be ok anymore. It was something I knew I didn’t like all a long, even when I watched my folks it became super clear how it is super harmful. To get to that point of hating it and not wanting that for myself was the best day of my life, well one of many since that point of returning to self-love and respect for who I am. The scary thing about alcohol is the way how normal it has become. People know it is not good for them, still they champion it. Perhaps the issue is not alcohol itself but our choice and reasons for drinking it and what it does to us when we do so. Alcohol wiped on a wound or used for cleaning can be a good thing. The fact that alcohol can be used as a cleaning agent or disinfectant says a lot about its potency and what it must be doing to the body if consumed. Agreed Nicola, ethanol is merely a substance – as always we choose how to use it. Great point Nicola, I just realised that I actually hate the energy that drives people to drink alcohol and not the alcohol itself. One of the issues is that even societies where alcohol is forbidden or strongly discouraged – people just switch to different drugs. Mormons are not even allowed to have caffeine. They drink sugary concoctions that go straight to your brain, they are so strong. Yeah true Christoph, there are many cases where drug abuse increases dramatically when alcohol is forbidden. And if not, then you can see the repression of people and the emotional abuse that runs riot as opposed to substance abuse. Being someone who has experienced what it is like being caught up in the culture of drinking alcohol I can also state my hate for alcohol and the denaturing effect it has on us. Nothing great ever comes from alcohol consumption and in fact it opens the gateway for evil to enter and abuse to follow as is reflected through the abusive behaviour we witness time and time again and the disintegration of families and relationships due to presence of alcohol. To have legalised a drug that we poison ourselves with and a culture that glamourises it, raises the question what are we missing so much that we need and seek to abuse ourselves and each other in this way? Indeed Anon when you site these facts about alcohol, it seems so crass that this poison could be laced into an act glorified as holy communion, surely this serves to embed alcohol consumption deep into societies accepted norms. It’s a super valid point this. Brilliantly said. And what message does that send to young people as well….”if they do it in church, then surely it is OK”. Yet another angle of abuse of the truth. We have come to accept poison as normal, and think ourselves better if we live with less than the average. But we should be stopping to ask why are we even thinking of harming ourselves in the first place? Brilliant question Joseph, I reckon not many people are aware that they are harming themselves and the key is awareness which then leads to the questioning and realisations. We need to understand the energetic consequences of alcohol. When I was a student I used to go to pubs with my friends, and while they drank alcohol I would have orange juice or water. The next day I would feel like I had had a drink regardless as I would get affected by having been in the pub. Since I didn’t want not to socialise this was a consequence I simply accepted. I am not sure the world is ready yet to hear that when we drink alcohol or are near people who have or are, then we also get energetically affected by their choices. Yes, it is a really strange feeling to have a hangover purely by going with colleagues or friends to a pub without drinking alcohol, but it is quite real. It can be avoided but it can also easily happen. I chose to be teetotal as a teenager and young adult in my twenties, but in that time, I distinctly remember having 2 experiences when I was at a party and nightclub of feeling drunk. It was really strange. I enjoyed the partying being with friends who were drinking, and on both occasions, I felt all the sensations of being drunk and fell over, there wasn’t even any stumble. One of them I was on a chair and it tipped backwards and the other I was standing upright and fell over on my back. I had no medical condition, no inner ear imbalances, felt well and healthy… but I did feel inebriated… definitely. I remember clearly both times wondering how on earth I could be feeling drunk with not having touched a drop. If energy is not linked to this what other explanation is there? I’d love to know. What you share is undoubtedly the absolute truth of alcohol. What it more so highlights however is the ginormous unspoken dis-ease that plagued society which has become so normalised we write it off as normal part of human life without questioning whether such a dis-ease within ourselves is actually normal or much less healthy.